Broker branded platform with managed or self-service real-time customisation for increased competitive positioning. Call centre functionality and real-time agent reporting. Buy online or offline with a full secure self-service customer portal including quote, bind, document production, complaint notification and FNOL. 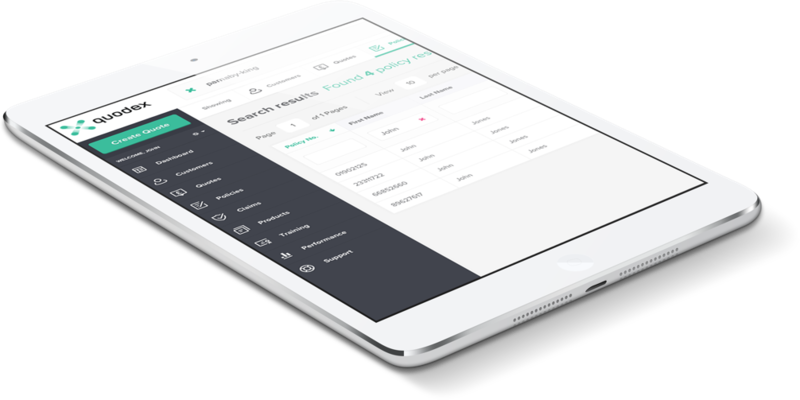 Seamlessly work with aggregators and affiliates with full tracking and reporting functionality. Unique integration with Adsertor™ enables advanced customer analysis and profiling for cross and up-sell. A feature rich out-of-the-box end-to-end quote and buy platform. Either cloud based or on premises with strong security architecture and fully GDPR compliance. The front-office solution enables rapid change to meet fast moving market demands. 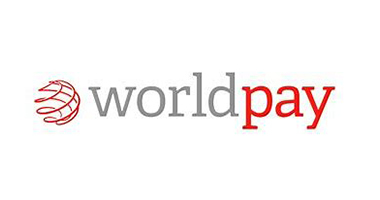 Integrated applications including postcode lookup, payment gateways, rating tables and so on. 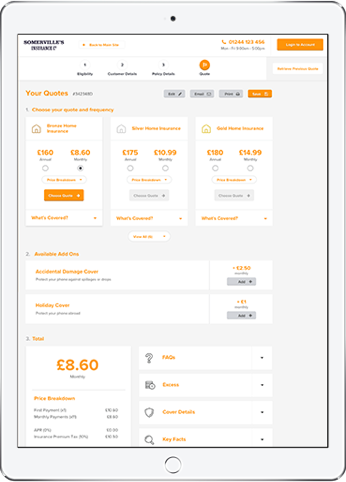 Broker and customer portals are fully customisable with broker branding and flexible question and data sets. The system is built to increase sales volumes with minimum implementation time. 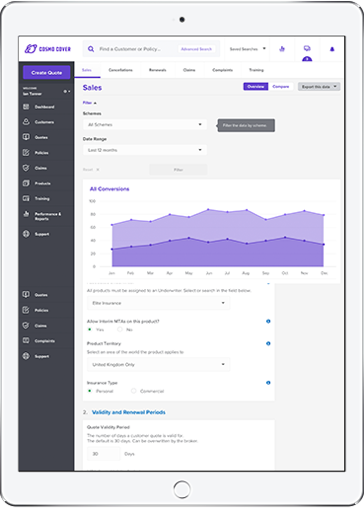 A highly cost effective omnichannel sales and administration platform. Bespoke real-time dashboard analytics on product and agent performance. Bordereaux production. Responsive on PC, tablet and smartphone. Broker branded with intuitive design. Simple to build, simple to use. Self-build with rapid deployment. Change premiums and risks with a few clicks. Configuration without coding. Complex ratings can be built in minutes. Automated bordereaux production. Export functionality to Excel, CSV for advanced analytics. Link to Adsertor for customer alaysis. Create a broker branded portal in minutes. Link or build products and create multi-offering schemes. 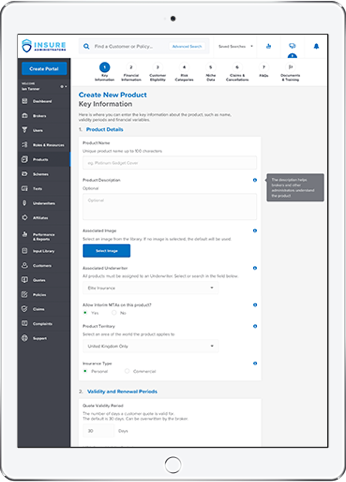 Built in CPD training portal on product rollout and update. Block users from sales until training completed. We are working with leading partners to support the Quodex platform help you achieve your goals. 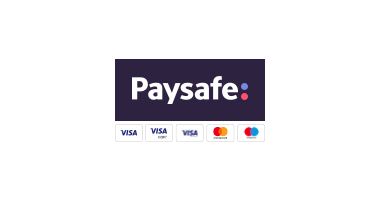 We can introduce payment providers with whom we have developed API's for instant customer setup. We have agreed discounted rates that we can pass onto our customers. Harness the power of your Quodex customer data with Adsertor. A real-time predictive data analytics platform, that allows you to centralise, consolidate and simplify all your data into one system. 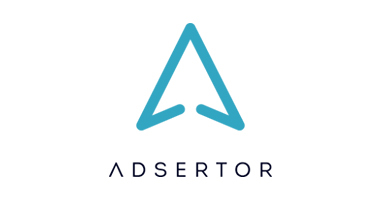 Adsertor allows you to segment your data and personalise your customer engagement like never before. Transformative insurance software that is flexible, powerful and cost effective. Cloud hosted or on premises our omnichannel offering is scalable and agile. Get online to achieve your sales goals in a matter of hours. Make the complex simple with Quodex. 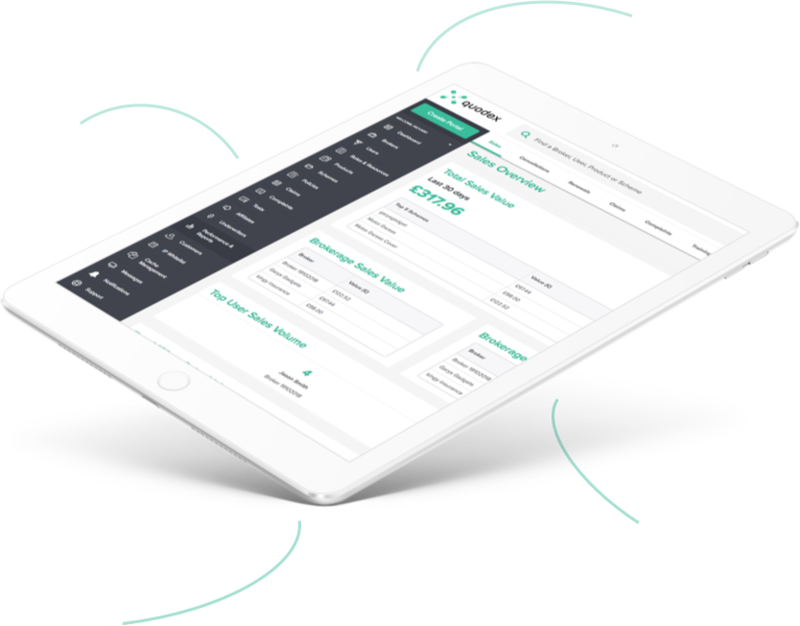 Whether you are working with affiliates, sub brokers, introducers or aggregators you have complete control with Quodex. 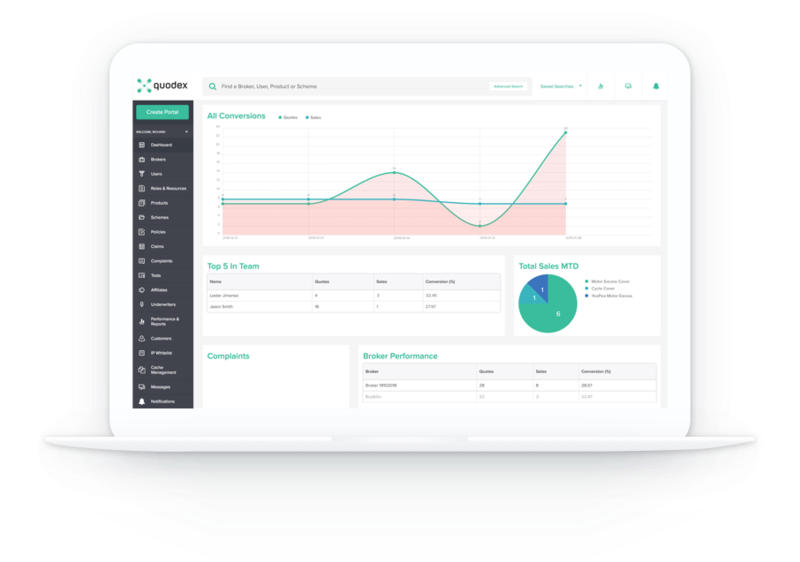 With our bespoke dashboards you can view sales results in real-time and analyse trends to help you improve customer ROI.